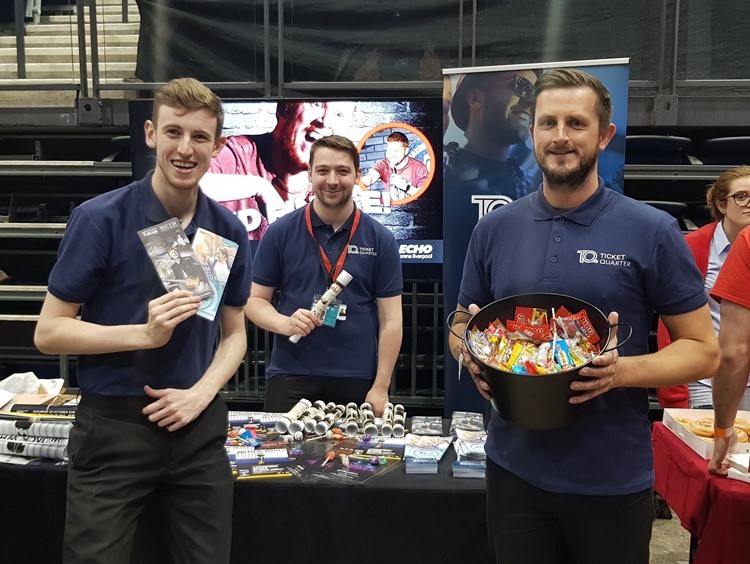 Impact Staff member Robert Robinson recently joined ACC Liverpool's ticket Quarter team at the Liverpool John Moore's University Fresher's Fair. They handed out leaflets, treats and chatted with the new students about upcoming events that they may be interested in buying tickets for. Well Done Robert on a great job at a lovely event.